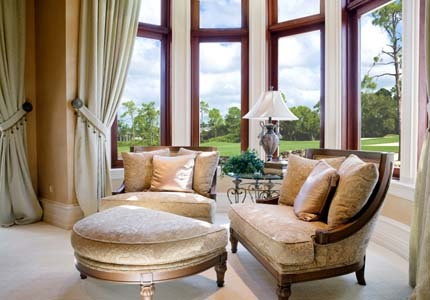 Beverly Hills Window Replacement | Beverly Hills Windows | Beverly Hills Home Window ReplacementMcGlinch & Sons CO.
McGlinch & Sons has been known as the leading window replacement company throughout Southern Michigan since 1917. We are a family owned and operated home window replacement company that has over 100 years of experience. McGlinch offers the most affordable storm windows, wood windows, and window replacements. We provide unparalleled window replacement services to residents of Beverly Hills. McGlinch has cost-efficient, top of the line window replacement services, storm windows and wood windows. If you are interested in a window replacement or home window repair, then contact McGlinch for a free estimate. The beautiful village of Beverly Hills is located in Oakland County, Michigan and is a suburb of Detroit. Beverly Hills is the most populous village in the state with over 10,000 citizens. When residents of Beverly Hills require the best home window replacement company, they know to call McGlinch. We are the best window replacement company in the area, and we offer affordable services. Get a free estimate on home window repair services from McGlinch. We provide well-timed installations along with the most experienced window replacement professionals. Add curb appeal and value to your home with windows from McGlinch! McGlinch provides customers in Beverly Hills with over a century’s worth of expertise that has been passed down four generations. We will make sure you are delighted with our superior window replacement services. McGlinch supplies resilient, dependable and energy saving, home window replacement service to the clients in Beverly Hills. Our main priority is making sure our clients are satisfied. When you choose McGlinch, we will find the replacement windows that are a perfect fit for your home. Be sure to check out our online deals and special offers. If you want to work with the leading home window replacement company, then call McGlinch & Sons today!